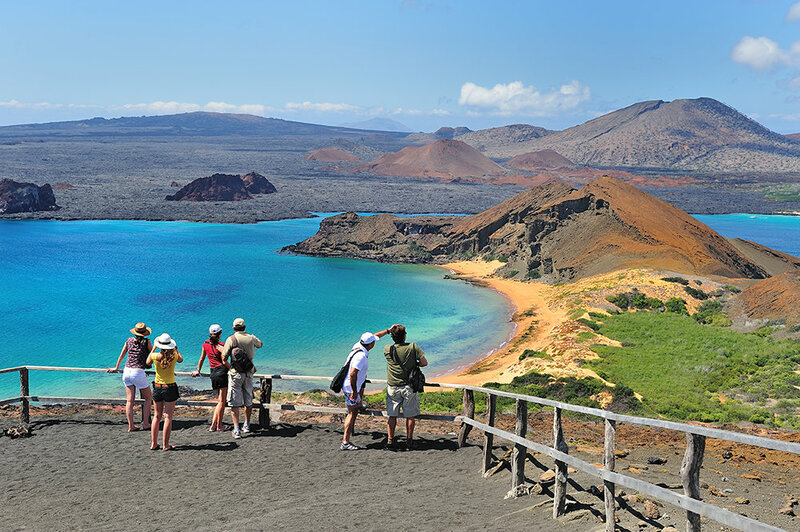 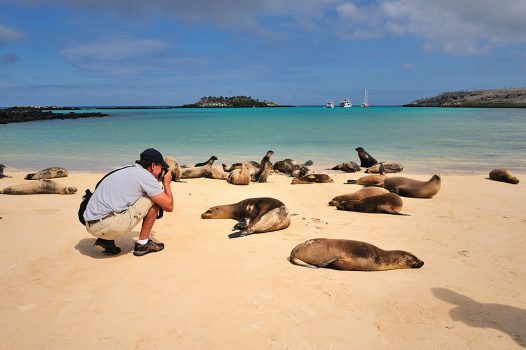 Those seeking the ultimate luxury travel Galapagos trip need look no further than the Pikaia Lodge, set on Santa Cruz Island. 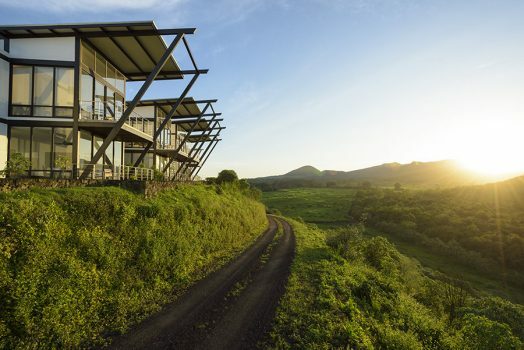 The 14-room eco-lodge is situated on 31 hectares of private tortoise reserve, once used as a cattle ranch, which has been restored to its former natural state. 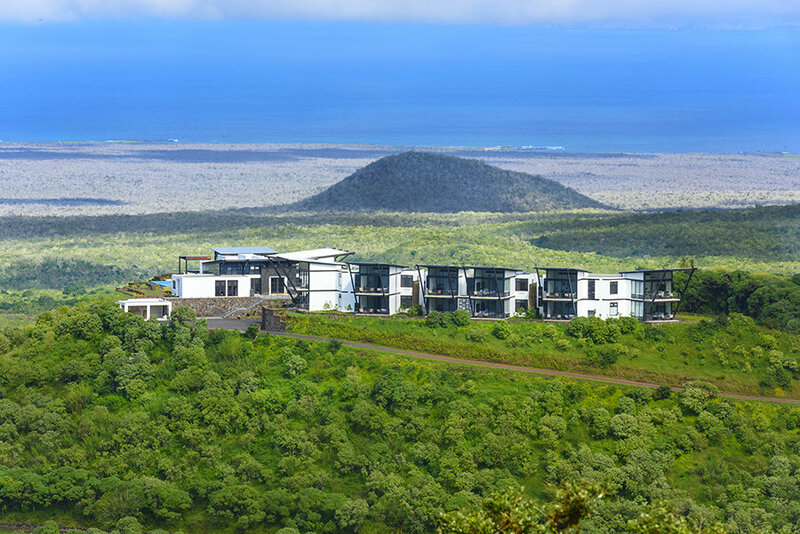 Each spacious room, appointed with floor to ceiling windows, offers sweeping views of the Galapagos National Park savanna, islands and volcanic cones. 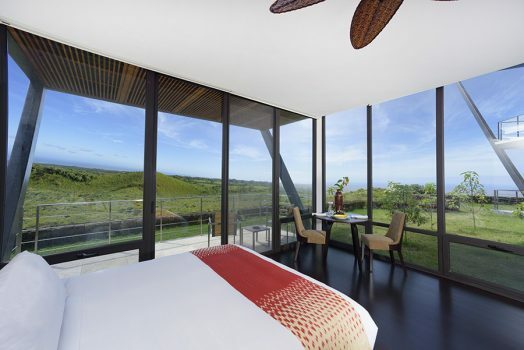 Choose from superior, deluxe, suite or pool suite, all tastefully and simply decorated with bamboo floors and a private terrace to enjoy the warm breezes that cross the island. 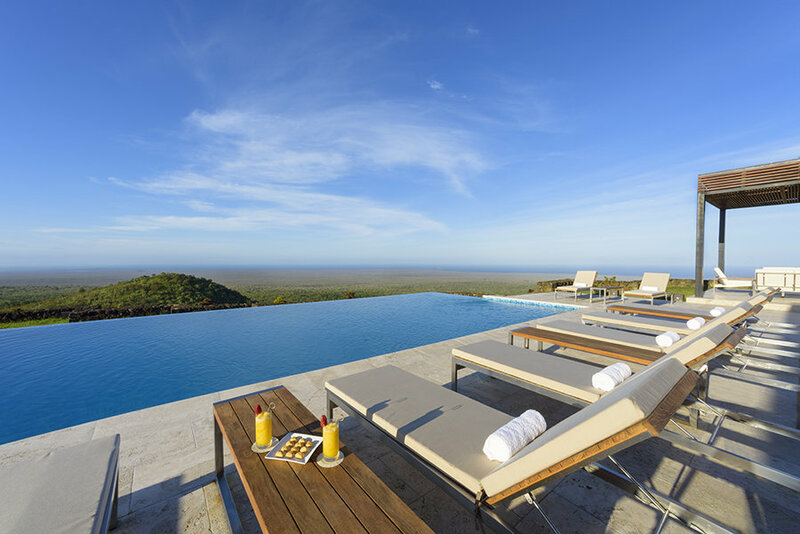 After a day of exploring the islands, take an afternoon dip in the infinity edge pool that looks out on the Galapagos archipelago or relax with a massage at the Sumqay Wellness Center on site. Other amenities include a top of the line fitness center, a business center with high-speed internet and the “Homo Sapiens” explorer lounge, outfitted with ample seating and a library of books relating to the islands’ biodiversity and history for those curious to learn more. 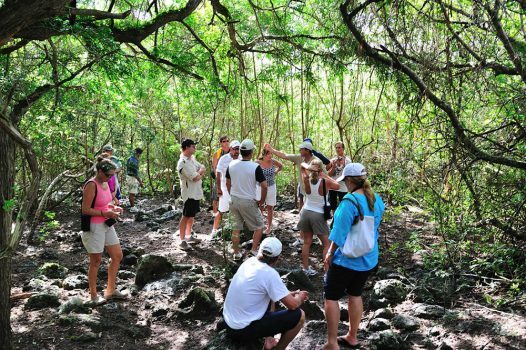 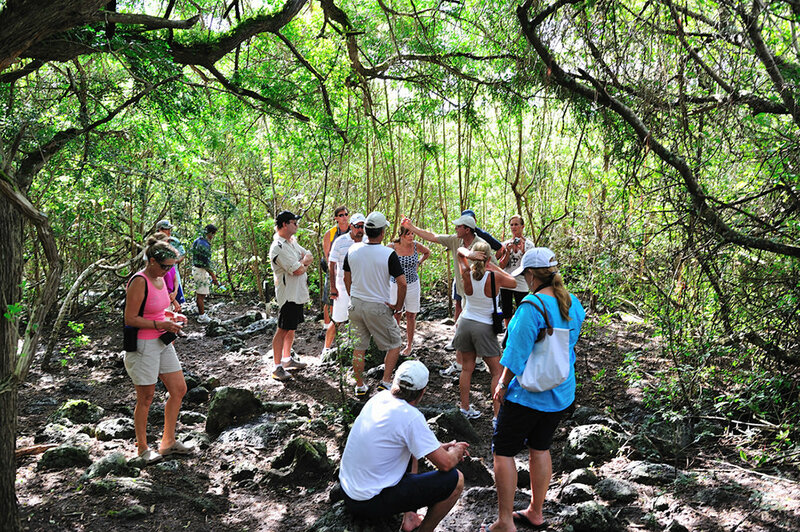 A large network of beautiful trekking, jogging and biking paths allow guests to explore the island and its pristine beaches. 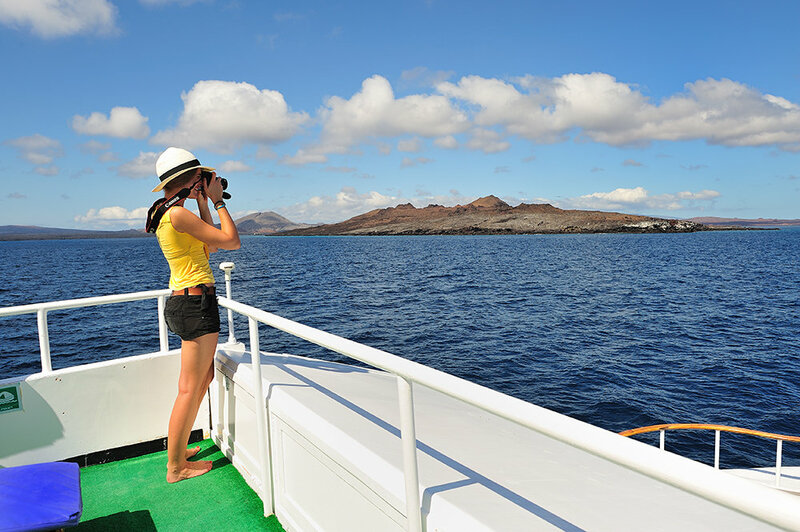 In addition to the lodge amenities, Pikaia Lodge offers day trips on the water on their own yachts to allow guests maximum comfort while kayaking, scuba diving, snorkeling and exploring other islands.